Are you mad at me for the lack of posts this week? Sorry about that. So many things went wrong during the last few days. Hope this tutorial on my current go-to eye makeup will make up for it. It's easy to do, and the colors go with everything and every occasion, especially Fall. 1. Apply matte brown eyeshadow only on the crease. Layer it to gradually build the color as desired. If you have a deep socket and a big lid, blend the eyeshadow a little bit down. 2. Apple metallic bronze eyeshadow on lid. Also apply it on your lower lash line. Sort of join then in a C at the outer edge. 3. It should look like that. 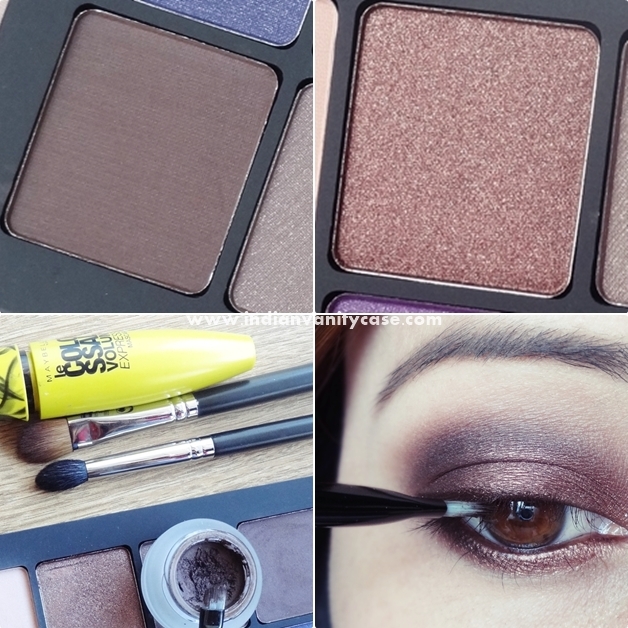 You can always re-apply both eyeshadows to intensify them. 4. Take a brown gel liner or pencil and apply on lower lash line starting from outer corner, and bring it inwards but stop somewhere in the middle, not going all the way in. 5. Use same brown liner on top lash line. Join it in a V with lower liner similar to what I did here. I won't line all the way to inner corner. I will stop at the part where my lash line begins to curve down. 6. It should look like that. See how it blends with everything because it's brown? 7. Apply black mascara on top and bottom lashes. I could have chosen a better mascara, but they all need to be repurchased. Close up pics usually wash out the colors, and they actually look more intense off camera. Lipstick is Revlon Super Lustrous Matte Mauve It Over. Brown Gel Liner ~ Maybelline Lasting Drama Brown. Swatched here . You could also use Bourjois Effet Smoky Pencil in Smoked Brown. Mascara ~ Maybelline Colossal Smoky Mascara. Brushes ~ Sigma E45, Sigma E60, MAC 266 angled liner brush. Hope you found this tut helpful. Have a good weekend & take care. Can't wait to try this look! Thank you for all these great looks and ideas CZ. You always nail a look Cynthia! Awesome tutorial as always Cynthia.you look ravishing.!! Hi CZ... Loved the eyemakeup!! it is awesome! !